Thanks to a teaser from the Motorola Canada Twitter account we know it will announce a new phone on June 1. The tweet claims it is “the next bold phone” from Motorola and will be announced tomorrow. The GIF attached to the post doesn’t make the identity of the phone any clearer, but considering the recent leaks we think it might be the Moto Z2 Play. 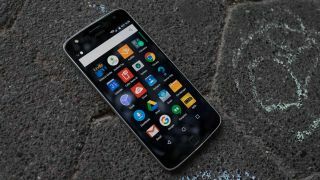 Previous leaks of the Moto Z2 Play suggest it will come with a 5.5-inch Full HD display and be powered by a Qualcomm Snapdragon 626 system-on-a-chip as well as 4GB of RAM. It’s also thought there will be a 64GB of storage and a 12MP rear camera that can shoot in 4K. It will likely be running Android 7.1.1 software, so we expect the release date to come before Android O rolls out later this year. There may also be word on the new Moto Z2, but that's a phone we know little about at the moment as leaks have been few and far between. Be sure to check back tomorrow to see what new phone Motorola has announced.